Gerhard Heinrich Friedrich Otto Julius Herzberg, PC CC FRSC FRS (December 25, 1904 – March 3, 1999) was a German-Canadian pioneering physicist and physical chemist, who won the Nobel Prize for Chemistry in 1971, "for his contributions to the knowledge of electronic structure and geometry of molecules, particularly free radicals". Herzberg's main work concerned atomic and molecular spectroscopy. He is well known for using these techniques that determine the structures of diatomic and polyatomic molecules, including free radicals which are difficult to investigate in any other way, and for the chemical analysis of astronomical objects. Herzberg served as Chancellor of Carleton University in Ottawa, Ontario, Canada from 1973 to 1980. Herzberg was born in Hamburg, Germany on December 25, 1904 to Albin H. Herzberg and Ella Biber. He had an older brother, Walter, who was born in January 1904. Herzberg started Vorschule (pre-school) late, after contracting measles. Gerhard and his family were atheists and kept this fact hidden. His father died in 1914, at 43 years of age, after having suffered from dropsy and complications due to an earlier heart condition. Herzberg graduated Vorschule shortly after his father's death.. His wife died in 1971. Initially, Herzberg considered a career in astronomy, but his application to the Hamburg Observatory was returned advising him not to pursue a career in the field without private financial support. After completing high school at the Gelehrtenschule des Johanneums, Herzberg continued his education at Darmstadt University of Technology with the help of a private scholarship. Herzberg completed his Dr.-Ing. degree under Hans Rau in 1928. 1971 Nobel Prize in Chemistry "for his contributions to the knowledge of electronic structure and geometry of molecules, particularly free radicals"
1981 Founding member of the World Cultural Council. Herzberg's most significant award was the 1971 Nobel Prize in Chemistry, which he was awarded "for his contributions to the knowledge of electronic structure and geometry of molecules, particularly free radicals". During the presentation speech, it was noted that at the time of the award, Herzberg was "generally considered to be the world's foremost molecular spectroscopist." Herzberg was honoured with memberships or fellowships by a very large number of scientific societies, received many awards and honorary degrees in different countries. The NSERC Gerhard Herzberg Canada Gold Medal for Science and Engineering, Canada's highest research award, was named in his honour in 2000. The Canadian Association of Physicists also has an annual award named in his honour. The Herzberg Institute of Astrophysics is named for him. He was made a member of the International Academy of Quantum Molecular Science. Asteroid 3316 Herzberg is named after him. In 1964 he was awarded the Frederic Ives Medal by the OSA. At Carleton University, there is a building named after him that belongs to the Physics and Mathematics/Statistics Departments, Herzberg Laboratories. 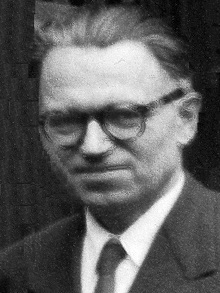 Herzberg was elected a Fellow of the Royal Society (FRS) in 1951. The main building of John Abbott College in Montreal is named after him. Carleton University named the Herzberg Laboratories building after him. A public park in the College Park neighbourhood of Saskatoon also bears his name. Herzberg authored some classic works in the field of spectroscopy, including Atomic Spectra and Atomic Structure and the encyclopaedic four volume work: Molecular Spectra and Molecular Structure, which is often called the spectroscopist's bible. The three volumes of Molecular Spectra and Molecular Structure were re-issued by Krieger in 1989, including extensive new footnotes by Herzberg. Volume IV of the series, "Constants of diatomic molecules" is purely a reference work, a compendium of known spectroscopic constants (and therefore a bibliography of molecular spectroscopy) of diatomic molecules up until 1978. The spectra and structures of simple free radicals: An introduction to molecular spectroscopy. (Dover Books, New York, 1971, ISBN 0-486-65821-X). Molecular Spectra and Molecular Structure: IV. Constants of Diatomic Molecules, K. P. Huber and G. Herzberg, (Van nostrand Reinhold company, New York, 1979, ISBN 0-442-23394-9). ^ a b c Stoicheff, B. P. (2003). "Gerhard Herzberg PC CC. 25 December 1904 - 3 March 1999". Biographical Memoirs of Fellows of the Royal Society. 49: 179. doi:10.1098/rsbm.2003.0011. ^ a b "The Nobel Prize in Chemistry 1971". Nobel Media. Retrieved 2010-12-31. ^ "Gerhard Herzberg: The Person". GCS Research Society. Retrieved 2011-01-01. ^ a b c "GERHARD HERZBERG". GCS Research Society. Retrieved 2015-02-07. ^ Naransinham, N.A. and Ahmad, S.A. (1999). "Gerhard Herzberg – An obituary". Indian Institute of Science. Retrieved 2016-02-21. ^ "Gerhard Herzberg". Schola nostra. Gelehrtenschule des Johanneums. Retrieved 2016-02-21. ^ "Nobel Prize in Chemistry 1971 Award Ceremony Speech". Nobel Media. Retrieved 2010-12-31. Devorkin, David H. (2000). "Obituary: Gerhard Herzberg, 1904-1999". Bulletin of the American Astronomical Society. 32 (4): 1669–1670. Retrieved 8 October 2017. Herschbach, Dudley (22 April 1999). "Obituary: Gerhard Herzberg (1904-99)". Nature. 398 (6729): 670–670. Bibcode:1999Natur.398..670H. doi:10.1038/19436. Stoicheff, Boris (2002). Gerhard Herzberg : an illustrious life in science. Ottawa: NRC Press. ISBN 9780660187570. This page was last edited on 14 January 2019, at 08:53 (UTC).